All Adoption decisions are made at the discretion of Canine Rescue volunteers. 1. Applicant MUST be 18 years or older to apply. 6. Applicant MUST have a fenced yard OR provide multiple leashed outings daily for potty and exercise. No puppy/dog should ever be allowed outside in an unfenced area or without a leash. ADOPTION INCLUDES A CONTRACT AGREEMENT BETWEEN CANINE RESCUE AND THE APPLICANT, WHO MUST AGREE TO ALL TERMS IN THE CONTRACT, A LEGAL DOCUMENT. FAILURE HONOR THE TERMS OF THE CONTRACT CONSTITUTES A BREECH AND LEGAL ACTION MAY ENSUE. F. Once approved, you will be invited to make an appointment to meet the puppy/ dog(s) you have chosen. G. If you have other puppy/dog(s) in the home, we encourage you to bring that pet along for the meeting. H. APPROVAL AND VISITATION DOES NOT OBLIGATE YOU TO ADOPT. If you wish not to adopt once you have met the puppy/dog(s) then we will accept a cancellation of your application. I. If all goes well during the visit, you may take your new baby home that day. 1. We will adopt out of state when we feel this is the best choice for the puppy/dog(s). 3. We will not ship or ground transport puppies younger than 6 months or smaller than 8 lbs. NO EXCEPTIONS. 4. 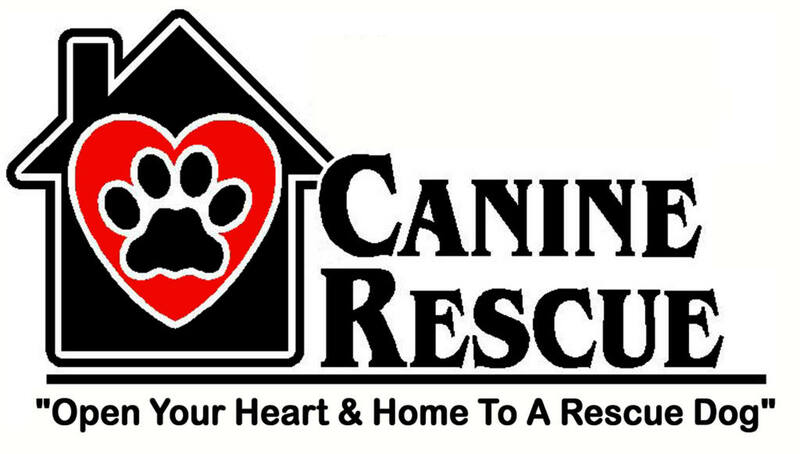 The applicant must travel to Canine Rescue to pick up very small or young puppies.